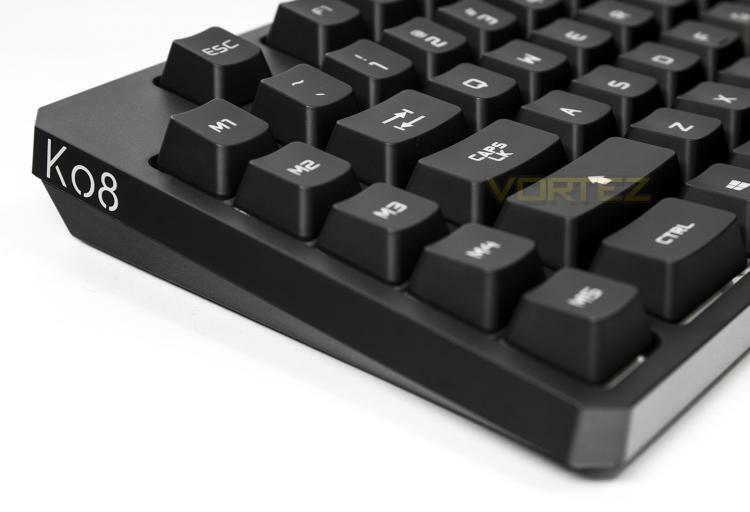 There is a wide array of impressive mechanical keyboards each catering for different tastes, such as the elegant K95 from Corsair, or the more gamer-chic Logitech G910. Though, for some looking for an inbetween compromise in style and design may find themselves short on options. Maybe the Corsair STRAFE RGB? But what if you wanted mechanical switches that were specifically designed for high-speed performance? How about dedicated macros, advanced lighting effects yet retains a minimal, elegant frame? Creative has addressed all these things with the Vanguard K08. It features a low footprint appearance that is sleek and elegant, yet has the additional macro and media keys, and despite its elegant appearance, it features advanced customisable RGB LED lighting. Helping the Vanguard K08 standout, it features custom Omron mechanical switches, these are a silent, tactile type switch that features cross-point technology, dual contacts for fail-safe actuation, an actuation point of 1.5mm, a total travel distance of 3.5mm, with an actuation force of 45g. The LED lighting in installed into the centre of the switch, similar to the Logitech Romer G switches, and have a more stable design than most other switches, meaning that regardless of where you press the key, it will always result in a smooth, precise action that is ready for rapid action that won't let you down. Oh, and it has some other nice goodies including a USB passthrough and an included wrist rest. The Sound BlasterX Vanguard K08 is designed to keep you on top of your game. Crafted with ultra responsive and durable custom-made OMRON mechanical switches, the compact keyboard with 109 customizable keys, an ergonomically designed body, clean matte surface and fully programmable ambient-reactive lighting perfectly delivers your every command with pinpoint precision and speed.